With a lineup like this, we hope you like jammin’ too! 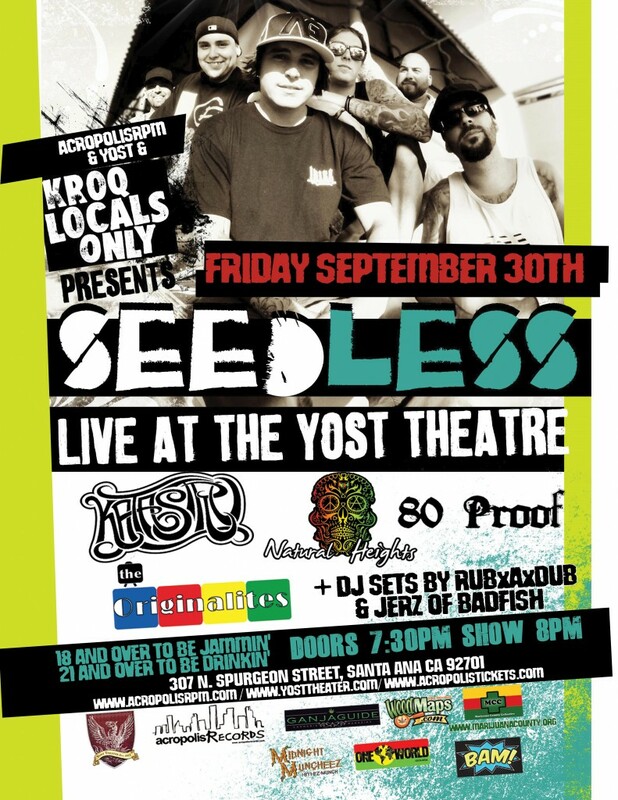 Join acropolisRECORDS as we present KROQ Locals Only band, SEEDLESS along with NATURAL HEIGHTS, THE ORIGINALITES, 80 PROOF, KATASTRO and sets by DJs RUBxAxDUB and JERZ of BADFISH to keep you groovin’ between bands. Notes: SEEDLESS along with NATURAL HEIGHTS, THE ORIGINALITES, 80 PROOF, KATASTRO and sets by DJs RUBxAxDUB and JERZ of BADFISH.